3rd Degree Screening offers a wide range of occupational health services to help organizations maintain a healthy workforce and to meet policy and work requirements. We have built a system of integrations, networks, and services to manage a variety of occupational health screening programs in one place. Our system connects you to the largest selection of screening services, solutions, and providers available. 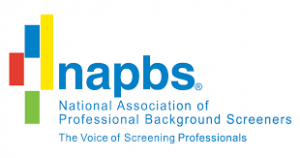 WHY CHOOSE 3RD DEGREE SCREENING? E-Chains reduce costs and administrative duties by eliminating paper forms. Using our paperless system, clinics minimize collection errors, ensure consistency, and link all parts of the applicant-screening process. Our clinic network includes more than 10,000 locations across the country, including patient service centers, third-party collection sites, and mobile collectors. You will have the ability to provide applicants with instructions and chain-of-custody forms electronically via email. The forms can even be scanned from applicants’ smart phones. Applicants can schedule their own screenings and choose the most convenient collection site and time for them. You will be notified once their test is scheduled.